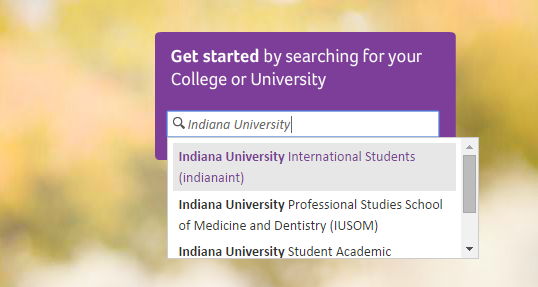 The Indiana University system contracts with Aetna Student Health to provide comprehensive health insurance for its international student community and their dependents. If you are a member of this plan and you need to see a doctor before you have received your insurance ID card (non-temporary insurance ID cards will not be mailed until after the Health Insurance Waiver deadline) please visit the Aetna Student Health homepage. You will be able to print a temporary insurance ID card there by following the instructions below. Click on the highlighted field.